Click on any thumbnail image below. October 13, 2004. 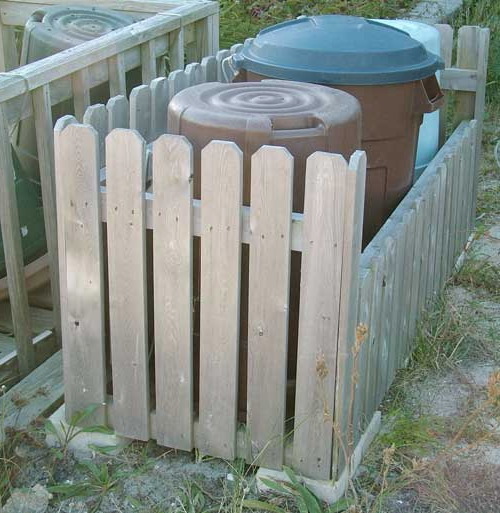 This is the type of eastern white cedar trash can corral that I need to build. A new zoning ordinance dictates the dimensions. August 1, 2004. Link to Miller Manufacturing's Web site featuring the Silent Servant dumbwaiter. May 30, 2004. The Miller Mfg. Silent Servant dumbwaiter that we visited. 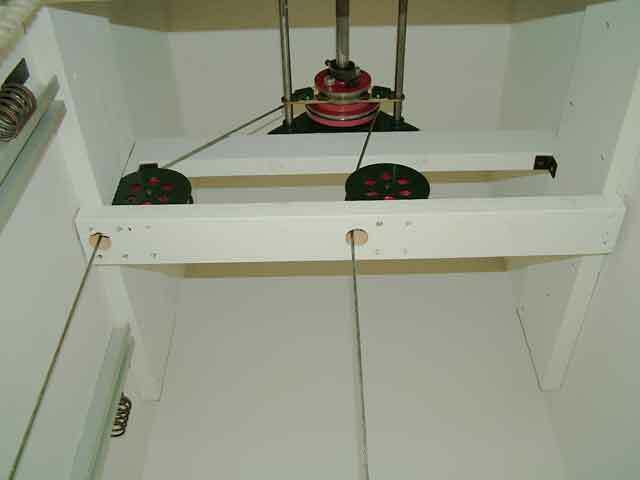 Photo shows the headspace mechanism (see Journal). May 30, 2004. The Miller Mfg. Silent Servent dumbwaiter that we visited. 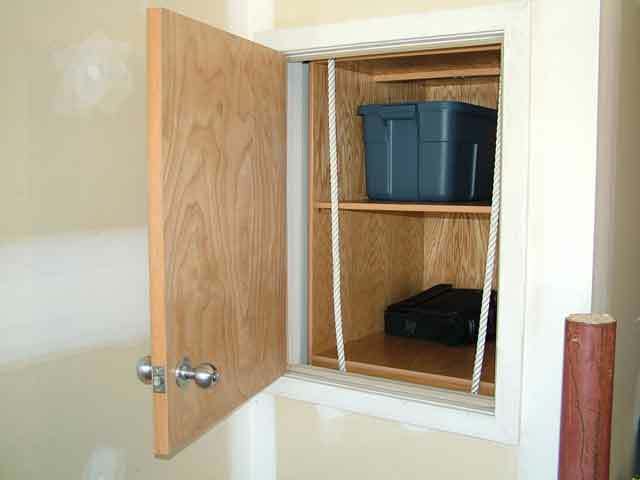 Photo shows the dumbwaiter exterior (see Journal). April 16, 2004. 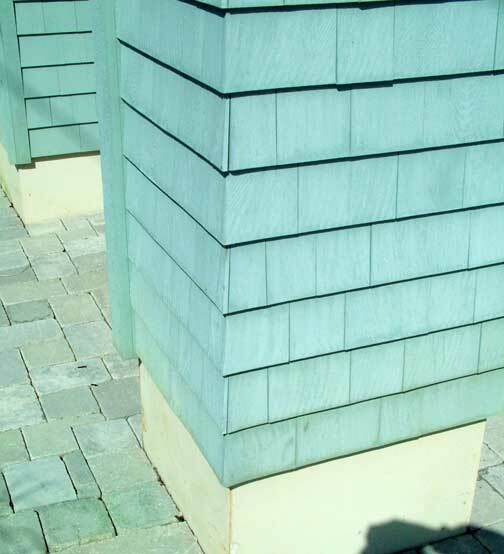 Detail of Beach Haven house cedar shingles on front columns. Shows very nice weave corner, as well as corner board finish in background. April 16, 2004. 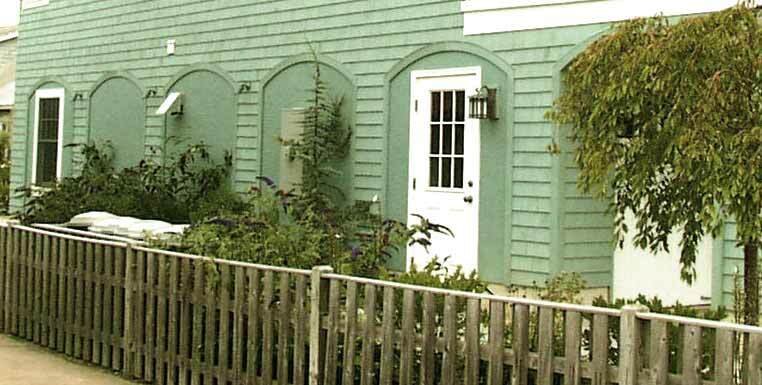 Detail of Beach Haven house arch decoratives on lower level. We will do something simlar (not the color!). I am not yet sure what. April 07, 2004. 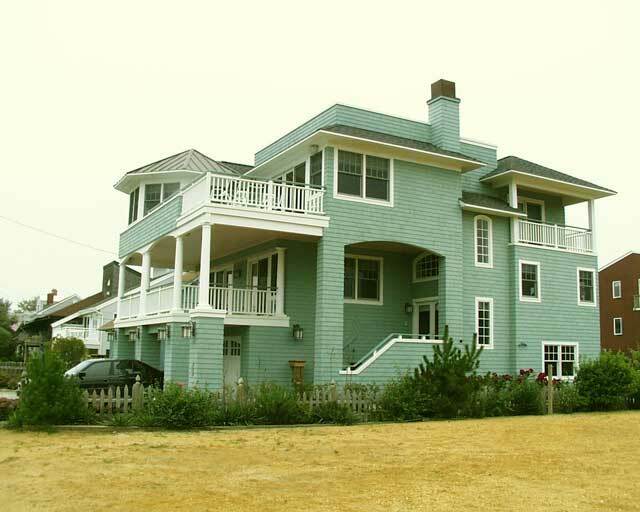 These are the ground level exterior florishes on the Beach Haven house. We want to do something similar to this. April 05, 2004. 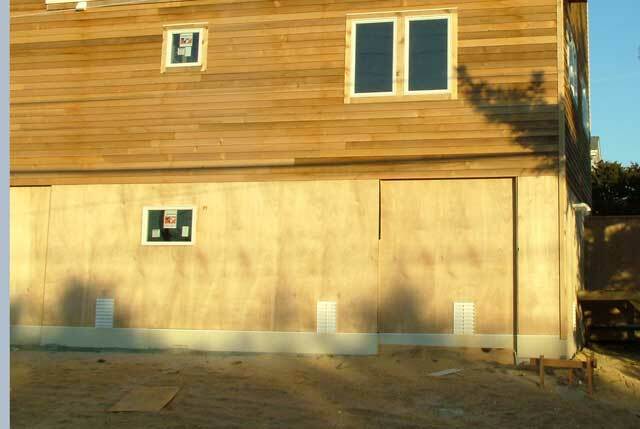 Cedar paneling covers ground level exterior at another house just built on the Boulevard. 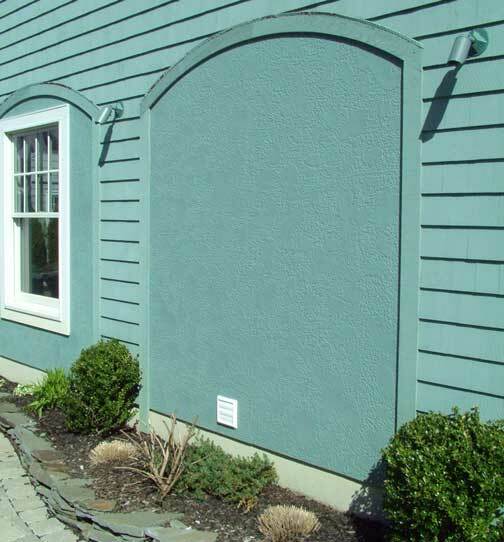 This strikes me as looking unfinished and right at eyelevel. The furshlugginer flood vents don't help. August 2003. 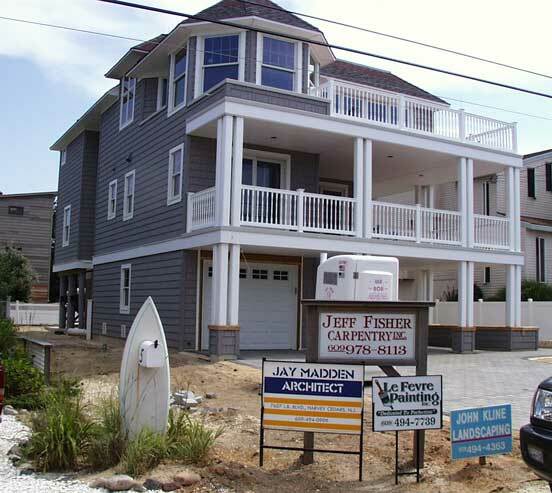 Another Jay Madden design, this house is on 4th Street in Beach Haven with some features that we will be borrowing. August 2003. 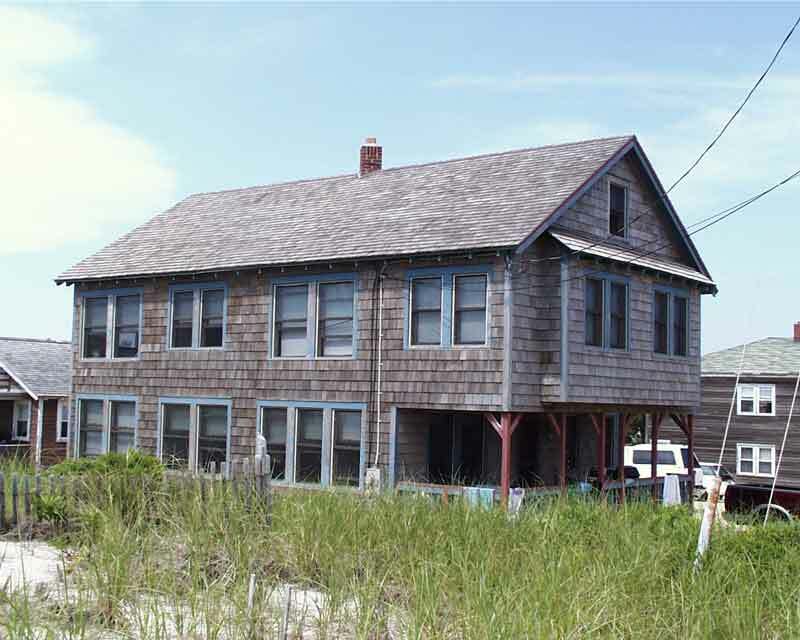 The house at 82nd Street. This may share many of the attributes (including the architect) with our new project. July 2003. An example of the authentic (and ideal) eastern white cedar look.. This house is a block away, on 73rd Street in Harvey Cedars.